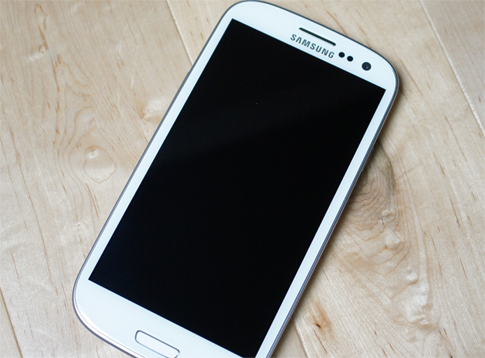 I have received a lot of emails regarding the Samsung Galaxy S3 freezing problems. I categorized those emails and came up with five issues, which I have addressed in this post, such as; freezing or hanging while the phone is booting up, using an app, making a phone call, browsing through contacts, and after the phone was accidentally dropped. If your experiencing any of the problems, please read carefully my suggestions. I assume you already know the procedures I cited here like how to boot to recovery and safe mode, or how to clear cache and data. If you don't, however, then please Google it. As you may have already known, I provide free advices and support. So, if you have issues with your phone, feel free to email me at harold@droidista.com or join the Google+ community [click here to open the page] I created for this purpose. Some data may have been corrupted during the update process especially when it was a major update. As long as the phone was working fine before the update and that it rebooted automatically once the installation of the firmware was finished, then this is just a minor issue. There are two ways you can address this problem. The first thing your should try is boot the phone to the Recovery Mode. If you can boot to recovery successfully, then there is a big chance you can resolve this issue. Once the phone is in that state, you should wipe the cache partition and reboot the device after. If the phone still refuses to boot up normally after wiping the cache partition, it's time you moved to the other procedure. The second thing your should try if the S3 won't boot up normally and wiping the cache partition didn't work is factory reset. I understand it is some kind of a 'general' troubleshooting procedure but it is the most effective when it comes to this problem. Before you do that, however, try booting the phone to Safe Mode and backup everything you don't want to lose. Well, that is if you can boot successfully. If not, then you will have to make compromise to bring your phone back to life. More often, this problem occurs when you're using a heavy app like games that require huge percentage of RAM, CPU and GPU. I myself have already encountered countless times this kind of problem. While the Galaxy S3 is a powerful smartphone, it cannot accommodate all processes when there are a lot of apps running in the background. Therefore, if you have encountered this problem, try hitting the Home button first to see if you can get the phone to respond by doing so. If not, then you have to reboot it by removing the battery. Closing other apps that are running in the background is one way to address this problem. Or, avoid running other heavy apps and toggling between them while you're using the app you're currently having problems with. If, for some unknown reason, the app just stopped working, then there could be issues with its data. While clearing both the cache and data is seen to be the most effective way to address this issue, you should try to reboot the phone and clear the RAM to see if that fixes it. If it doesn't, then proceed with the clearing of data. However, the compromise is that you will lose saved data when you do so. If all else fails, uninstall and reinstall the app. To be able to make phone calls is one of the most basic function of your phone and if that function doesn't work well, third-party apps may be at play preventing the phone from fulfilling such function. It is, therefore, recommended you boot the phone to safe mode first if you're having a hard time making a phone call because the phone freezes when you do so. While in that state, try to make a phone call and if the problem is gone, then it's a third-party app that's causing it. You need to find that app and disable or uninstall it. However, if the problem persists even in Safe Mode, then the problem could be in the Dialer service. You need to go to Application Manager and find Dialer. Once found, clear its data and try again. More often, such procedure will fix this problem, but if it failed, then there's no other option but factory reset just to bring the phone back to the settings where it works flawlessly. This is a bit tricky especially when you have different accounts synced with the Contacts app. As you may have already known, your Google and Facebook contacts are synced automatically if you've set your phone to do so. But the real-time syncing only happens when there's internet connection. Therefore, if the problem occurs only when you lost your internet connectivity, then the problem is with the sync and not with the Contacts app. You can either reconnect your phone to the internet or stop the sync. In case the problem happens regardless whether the phone is connected to the internet or not, there's an issue with the Contacts app. The best way to address that is to clear the cache and data of the Contacts (NOT the Contacts Storage) service through the Application Manager. If that doesn't fix the problem, I suggest you stop the sync of your contacts and clear its data one more time. It is apparently a hardware problem but there is a possibility that it's a display issue. To verify that, turn the phone on and press the Power button to see if the phone locks. If so, then phone doesn't really freeze, it's the digitizer that doesn't work anymore, thus, disabling the touch screen. In this case, you will have to bring the phone to a technician, purchase a digitizer or whatever component the tech wants you to buy and have those defective components replaced. The phone should work perfectly after that as long as the tech was able to determine which components are defective. However, if the phone freezes and won't respond to key presses, then there's a more serious problem with it. The impact of the drop may have damaged the phone seriously. In this case, you will need the expertise of a technician as you probably can't fix this on your own. Or, if you want, you can call Samsung or your provider and have the device replaced if that works. If your Galaxy S3 freezes and you can't find a solution in this post, feel free to email me at harold@droidista.com and I will look into it. But due to the number of emails I receive each day, I may not be able to address the problem immediately. I suggest you join the Smartphone Support community I created for this purpose. I am always online so there is a big chance you'll catch me when you post your concerns there.